We updated the design of our Transcript Services site to help you learn about our fast, new “Next Generation Transcript Experience” ordering solution. It can also help you more easily determine which of our transcript solutions – FAST, FASTER or FASTEST – best suits your needs. The dynamic bar chart on the Transcript Services home page demonstrates the increased efficiency you can realize by upgrading to our different FAST, FASTER or FASTEST options. Full information on each solution is available, along with case studies, video testimonials and FAQs. Make sure you check out our service comparison grid to see how our three service levels compare and our savings calculator for our FASTEST service. Visit transcriptservices.org now to learn more. 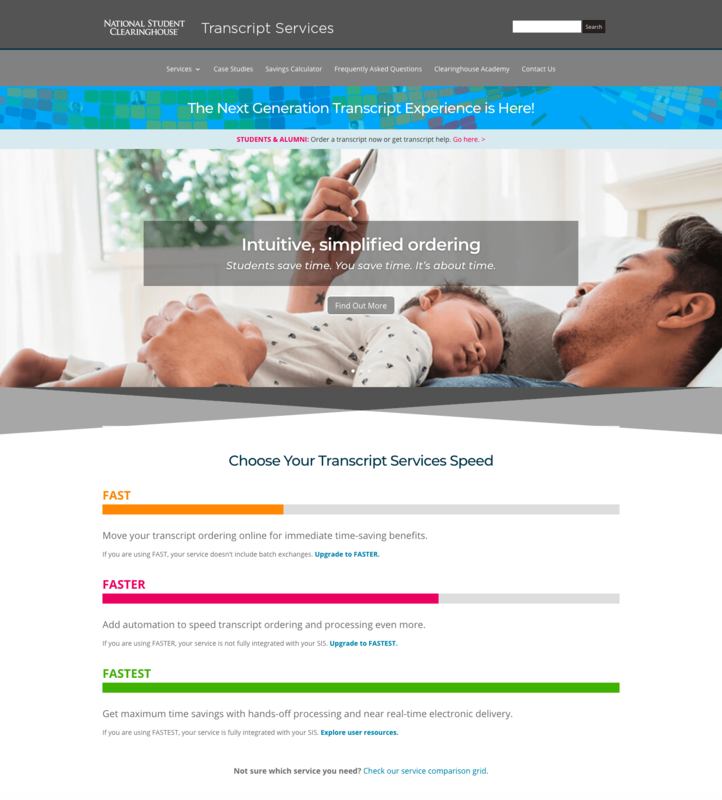 Go to transcriptservices.org for more on our time-saving transcript solutions, including our new, fast “Next Generation Transcript Experience” ordering solution.